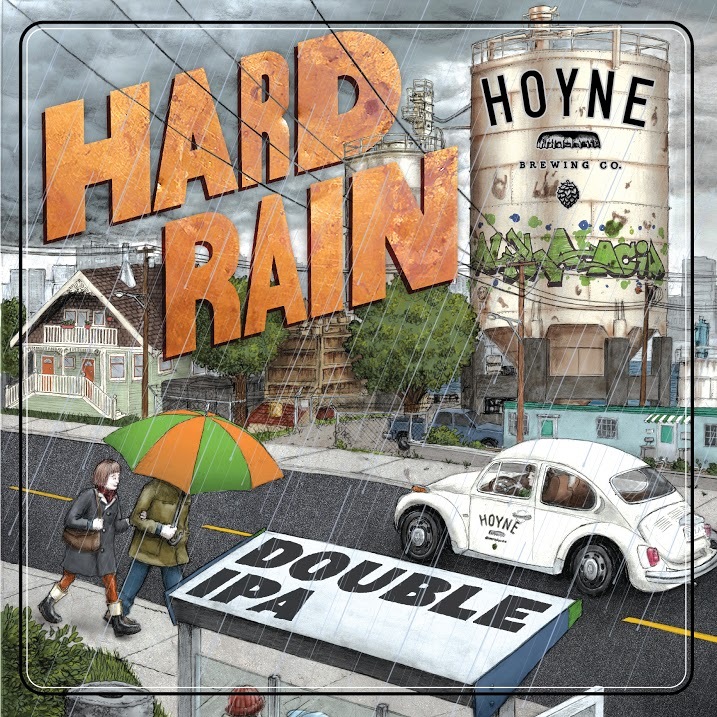 Description: This latest limited release by Hoyne, this double IPA is named in honor of Victoria’s reputation for prolonged, wet weather. Befitting that is an IPA of increased strength and intense bitterness, made possible by a hefty dose of finishing hops that are added late in the boil. Tasting Notes: This is the second ale I’ve had recently that took advantage of finishing hops to achieve extra bitterness. And I have to say, I’m not a huge fan. While the craft of this brew and its makers’ talent cannot be denied, it just wasn’t that pleasing to drink. The hop flavor is intensely bitter in a way that obscures the malt base and doesn’t provide any fruity notes to balance out the bitterness. Sorry, but this is one trend I’m not able to get behind just yet. Description: Named in honor of the Gold Rush, this amber ale is the flagship beer produced by the recently-opened Barkerville Brewing Company. 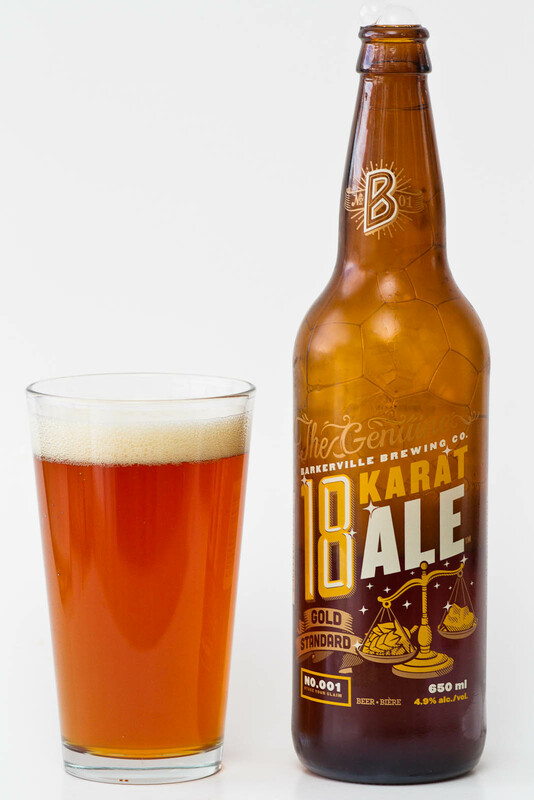 Employing a pale malt base and a descent hopping, the beer aims for a balance in flavor and a consistently amber-gold color. Tasting Notes: This beer was a good introduction to this brewery’s wares, though I neglected to give it a review at the time. This beer is quite balanced, combining a relatively crisp malt base with a varied hop palette that includes notes of grass, resiny pine, citrus, and some lingering bitterness. Quite pleasing. I look forward to seeing and sampling more from this interior-BC brewery! Description: This brew takes it name and logo from the dragon that sits atop the Belfry of Ghent, one of three medieval towers that overlook the old city center of Ghent, Belgium. This dark triple is one of several beers brewed by the Van Steenberge brewery in the town of Ertvelde and uses dark malts, a mild dose of hops, and wine yeast for secondary fermentation in the bottle. Tasting Notes: I first tried this beer back in Ottawa, many years ago. Lucky for me I found a steady supply again and decided to give it a proper review, for I seriously forgot what it tasted like, which is pretty fantastic. Rich, sugary malts packed with notes of dark fruits combine with a yeasty backbone, resulting in a tasty, velvety flavor that is surprisingly smooth in spite of the alcohol content. Definitely something that requires re-re-sampling! Description: This limited release from Unibroue comes but once a year to mark the brewery’s anniversary. The first batch of the Trappist-inspired ale was created in 2007 to mark their 17th, and the name has stuck since. Rich, dark malts are aged in French oak barrels, and then refermented in the bottle with active yeast culture. 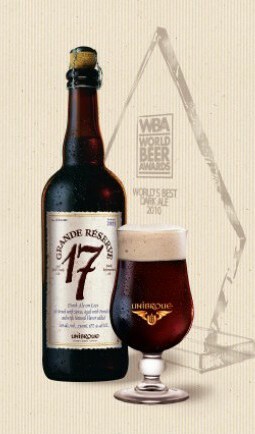 Tasting Notes: The last time I sampled a Grand Reserve 17 was 2012, and I was pleasantly surprised to see that the flavor has changed somewhat with the passing of time. It could be the result of better aging with this bottle, but the sugary notes were more subdued this time around. While I got a whiff of brown sugar, the overall malt flavor was much more coarse. What really came through was an effervescent, yeasty quality with a nice, spicy finish. And of course, there was the notable alcoholic punch, but which was nicely rounded out. All in all, I was reminded of both Chimay and Trois Pistoles – two other fine examples of Belgians and the Belgian-inspired! Description: A limited release that is available for the Fall season, this strong dark ale is named and brewed in honor of hangover cures! Employing rich, dark malts with a good dose of hops, this beer is intended to be the “hair of the dog” that beats the hair eyeballs. Tasting Notes: I was strongly reminded of a bock beer with this one, a style that I love. The strong malt, dark color, notes of molasses, minerals and herbal notes were all consistent with a bock’s flavor. Having not been hungover when I drank it, I cannot attest to its hangover-arresting qualities. It is however a great accompaniment to food or just casual drinking! Description: As part of the brewery’s regular lineup, this Belgian-style Blonde Ale is named in honor of another aspect of the Gold Rush – which was the risk prospector’s ran of going mad. Pale malt is combined with Belgian yeasts and a mild hopping to effect a light, refreshing golden ale. Tasting Notes: This beer actually put me in mind of some of my favorite Belgian blondes. Sharp yeasts combine with a hint of sweetness, notes of honey, and mild hop bitterness to create a very refreshing and drinkable brew. 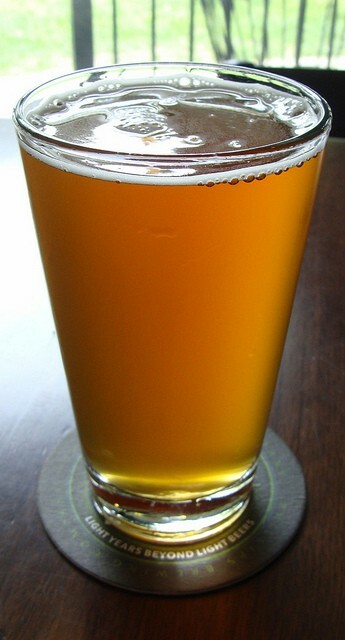 Description: Names in honor of the camels that brought supplies to Barkerville during the Gold Rush, this IPA is part of the brewery’s regular lineup. Brewed in the style of an English India Pale Ale, this brew is unfiltered and is bittered with (what I assume are) Chinook and Centennial hops. Tasting Notes: This IPA was a nice change of pace, as it was not too heavy in either the malt or hop department. The crisp malt are nicely balanced with notes of pine, citrus, and tropical fruit, creating an IPA that is just strong enough while still being quite quaffable.